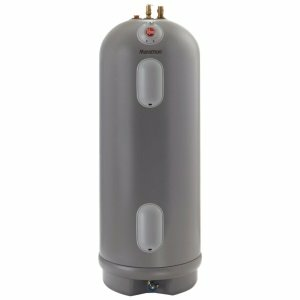 Receive a FREE 50-GALLON WATER HEATER on all new installations or when replacing a gas or oil-fired water heater with an electric water heater. 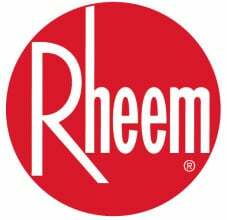 The brand of this water heater will be Rheem or Richmond based on availability. Receive a Rebate. If you are not eligible for the free 50-gallon water heater, then you may qualify for a rebate by joining the water heater load management program with the purchase of a new electric water heater. Rebates vary by size and brand. See the below water heater prIce sheet for details. Receive Free Parts and Labor (subject to part availability). If your water heater stops working, call JREC and we will be out to service your water heater within 48-hours (excluding weekends and holidays). If your water heater begins to leak and is under warranty, call our office. If not, see the below water heater price sheet for replacement options. Maximum interruption of your water heater is 4 to 6 hours in a 10-hour period. Rebates are issued upon installation of the water heater and receiver. Water heaters need to be installed within 45 days of purchase. Cooperative has up to 30 working days to inspect installation. Offer is subject to off-peak load management receiver. Water heater delivery and installation are not available from Jump River Electric Cooperative. Members who have water heaters with a Jump River Electric Cooperative load management receiver will only be charged for parts and labor if the repair is plumbing or electrical related or is due to a dry-fired element. Water heaters obtained under JREC's water heater program are to be used as the primary source of domestic hot water and not to be used as supplemental water heaters or storage water heaters. This will void the warranty. Repairs done on these water heaters will be charged a service fee. If your water leaks and is under warranty, you may need a replacement water heater. We will need the serial/model number sticker. This is located on your water heater. If we do not receive this sticker, you will be charged for the replacement water heater. By participating is this program, you authorize the Cooperative to inspect the load management receiver when necessary and without notice. WHAT IS THE LOAD MANAGEMENT RECEIVER? This device is typically located near your meter. The receiver allows our power supplier, Dairyland Power Cooperative, to manage the water heater during peak periods or times of high electric demand. By doing this, the cooperative minimizes its demand charges, which helps keep our rates balanced. The key to reducing the number of times your water heater is interrupted, is to lessen your consumption between the hours of 5 to 10 p.m. on the warmest and coldest days. This helps the cooperative save on our wholesale power bill, and this savings is passed along to you. By making a few simple changes, such as turning off unneeded lighting, electronics, and appliances during these times; or shifting chores like operating the dishwasher or clothes washer to morning or late evening hours, when the demand for electricity is generally lower; and turning your thermostat up a few degrees in the summer or down in the winter, you can help us help you save a substantial amount of money on your power costs. A representative of Jump River Electric Cooperative may be stopping by to test your load management receiver throughout the year.